« More lunch with Gordon: the food! The right configuration: One chair with arms, and one without for the feet. As the trees go bare and the days grow shorter, the Experienced Travellers wistfully revisit balmy afternoons in their favourite Paris parks. Ooh, to drag a green iron chair to the edge of a fountain for a spot of lunch. 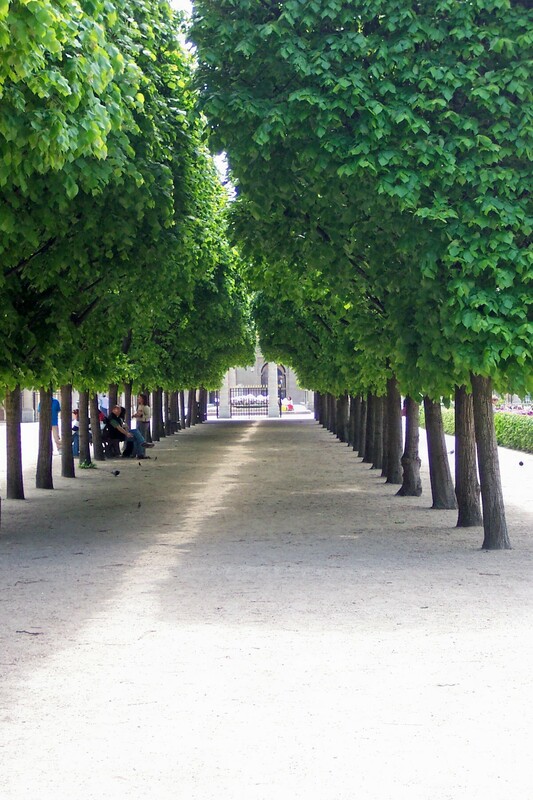 The ETs have a particular fondness for the Palais Royal garden – an 18th century outdoor entertainment complex. Desperate gamblers lost the family manse in the dens over the arcades. Prostitutes did a bit of marketing in the allees. Actors and revolutionaries argued in the cafes. Then on a hot night in 1789, Camille Desmoulins leapt onto a table here in the Cafe Foy, and delivered the tirade that “started” the French Revolution. By morning, cockades made a fashion statement that few would dare debate. Perfect for a touch of insurgency - or lunch. You can still promenade here, dine at the Grand Vefour or shop where Charlotte Corday bought the knife that killed Marat, but the crowd is more law-abiding. 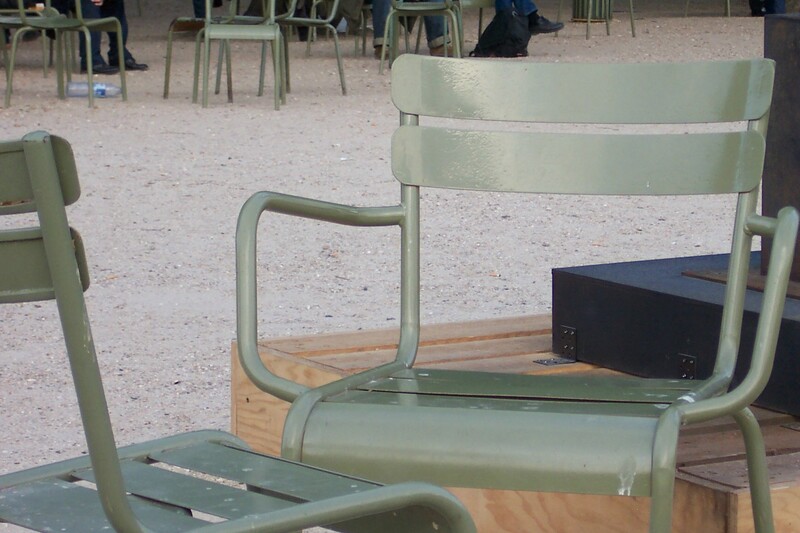 The Palais Royal garden is a fine venue for recharging. ETs aren’t likely to hop on tables and make proclamations, but they do enjoy an al fresco lunch in the shade. 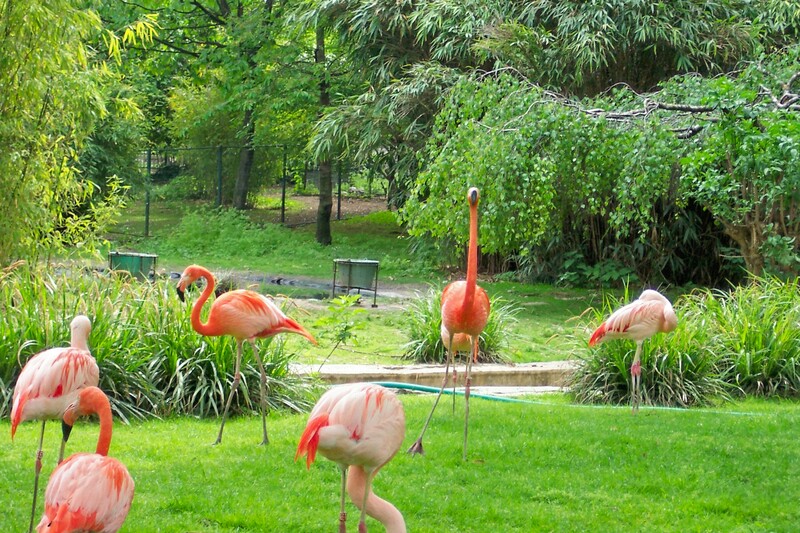 In the 5th arrondissement, the Jardin des Plantes contains the Paris zoo, a spectacular botanical garden and the Museum of Natural History. Fricassee? Don’t scare the wildlife! The ETs thought the animals looked relaxed, but that wasn’t always the case. During the Prussian siege of 1870, food was so scarce that zoo animals turned up as exotic dishes on restaurant menus. 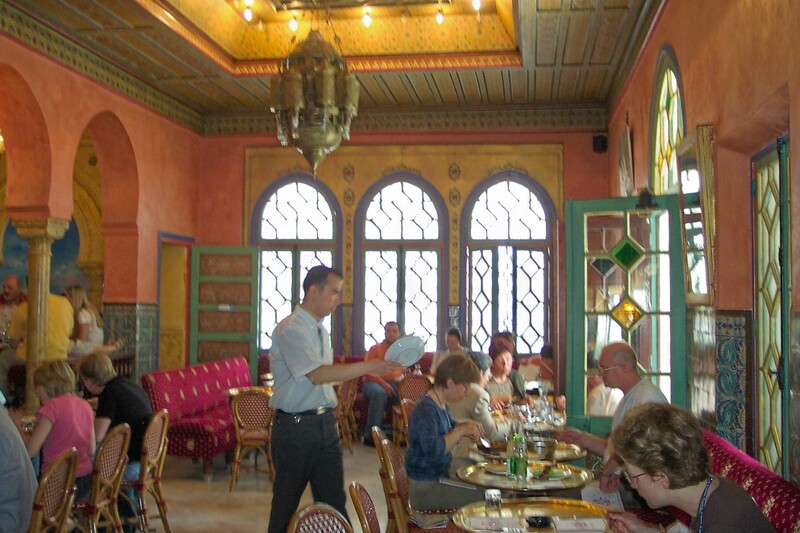 In search of a more amenable meal, the ETs head directly to the nearby Paris Mosque. The excellent couscous and mint tea gurantee a restful afternoon. It’s a lovely setting, and for the price, one of the best meals in Paris. If you leave here without wanting to lay mosaic tile throughout your house, you are superhuman. Did I mention the gift shop? Perhaps I saved the best for last. 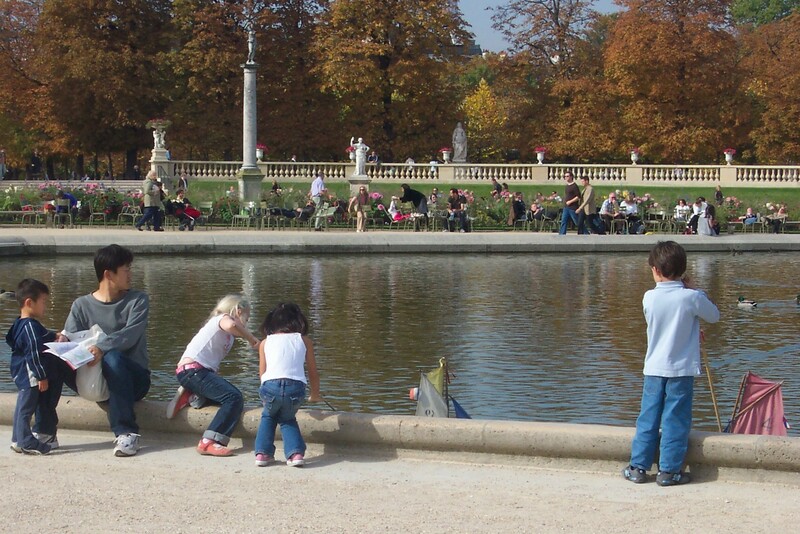 Deep in the 6th arrondissement, the Luxembourg Gardens are a leafy venue for sea-worthy children to hone their skills. 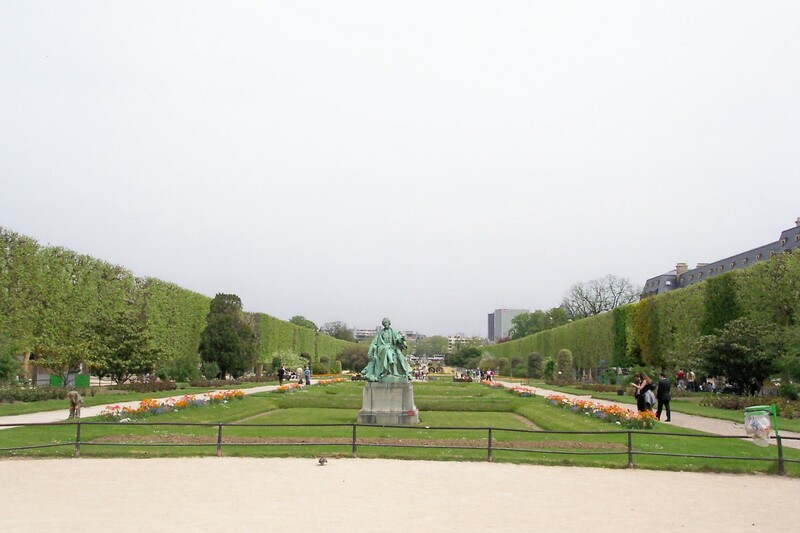 Formerly Marie de Medici’s backyard, today the gardens afford unparallelled vistas across the parterres to the rooftops of the 5th and 6th. 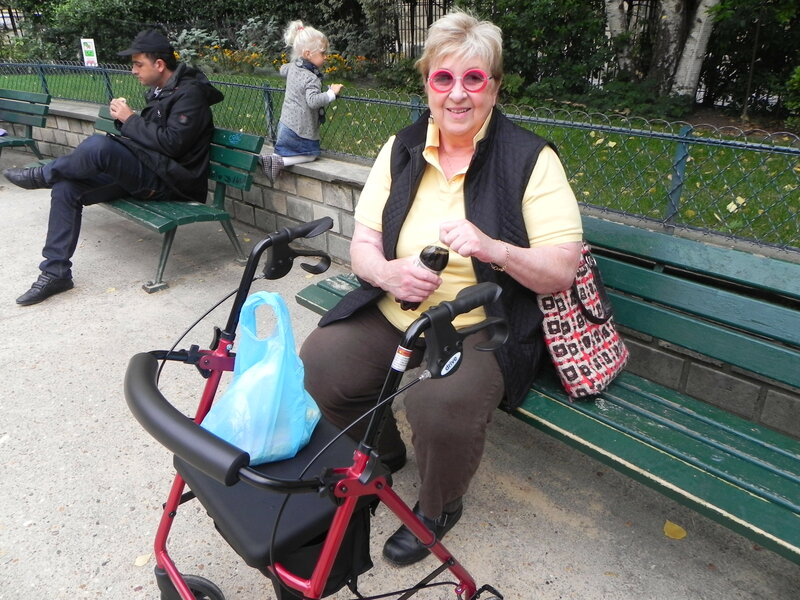 So find a garden or a small neighborhood park, arrange your hotwheels and enjoy a baguette with ham and cheese. It’s free, it’s relaxing and it’s very French. 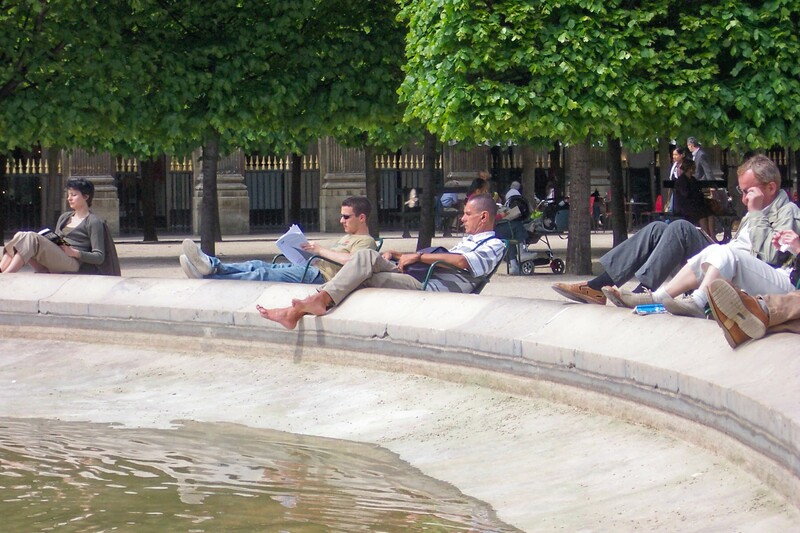 This entry was posted on October 27, 2010 at 9:25 pm and is filed under Paris Life, Paris parks. You can follow any responses to this entry through the RSS 2.0 feed. You can leave a response, or trackback from your own site. The pictures that you’ve included throughout are fabulous! And the food….even better! Makes me miss Paris!! Jenn it was a fabulous meal and we’re still thinking about it. Watch those airfares! My dear your front yard qualifies as a park. Lay down a few gravel paths and put out some chairs.